I thought this story was a hoax at first but I Googled it and found reputable sources like the New Yorker, ABC Science, BBC, and Science Daily. There’s a nice symmetry to the thought that one of the causes of climate change – livestock farming – could also bring about its demise. Livestock farming produces more greenhouse gas emissions than the entire transport sector – that’s all the cars, trucks, trains, planes, buses, and ships on the planet. 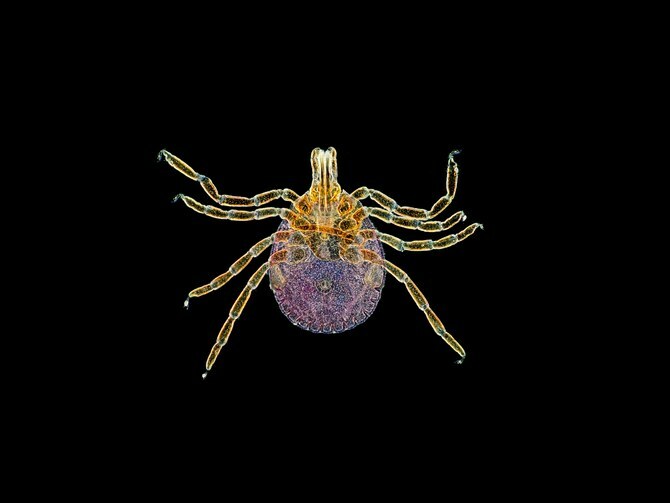 As our planet warms, insects, like this meat-allergy-inducing tick, are spreading to areas which were previously too cold for them. It’s not sustainable to feed 7 billion people the same meat-based diet that most North Americans eat today. Over 50 billion farm animals are slaughtered every year to feed humans. Most of them live short, painful lives in miserable conditions. Eating animals is not a very efficient way to get protein because we have to grow a lot of crops to feed those animals. We could just eat those crops ourselves and then we’d have more food to feed a growing population. Here’s a good infographic from an article in The Conversation on deforestation. As you can see, when we pass protein through an animal first we get less out than we put in. And no, I’m not denying that cows eat grass. They do eat grass but most of the 50 billion animals slaughtered for food each year are not grass-fed cows. If humans really want to eat animals there are more sustainable alternatives. Eating some of the many wild rabbits and deer that are culled each year is one option. There are also rats and mice. I think it’s less ethical to consume dairy products which cause undue suffering to a mother and baby than to eat game marked for culling. If that’s unpalatable then just eat any of the 20,000 species of edible plants in the world. Posted in Journal, Vegan and tagged Climate change, insects, meat, tick, ticks, Vegan, vegetarian. Bookmark the permalink. Interesting. Who knew. These numbers are hard to argue against. Nice post. ICYMI: Tick, tick, tick. OK, probably not the ticks, but good progress even so. Wow, 6% is pretty high. That’s great news. I think there are also many more people who, while not vegan, are trying to reduce their meat consumption which is also a very good thing.